144 Stitches is the vision of Knitwear designer Michele Costa. Since childhood, Michele has always loved fiber and texture. 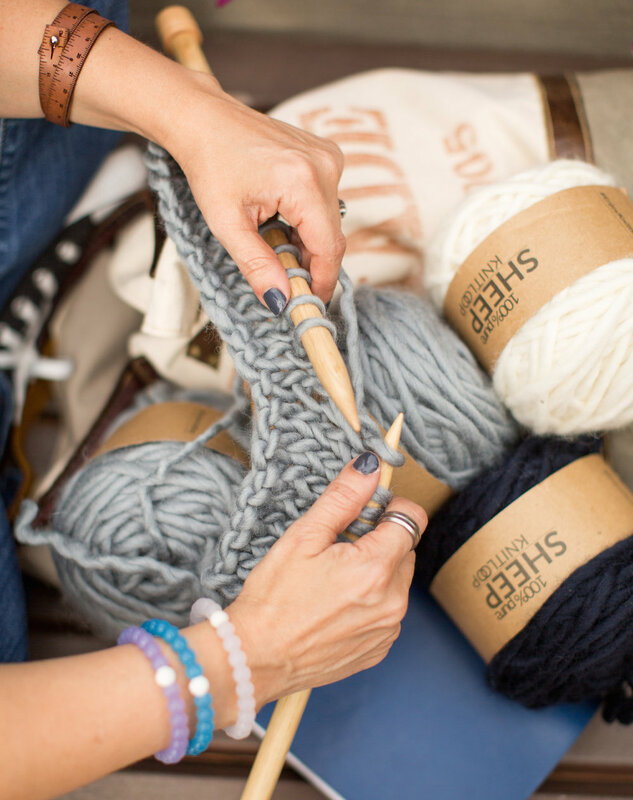 She considers herself just a rough around the edges goofball who discovered joy and happiness in a ball of yarn who is on a mission is to get the world into handmade cozy one stitch at a time. For Michele, creating handmade fiber goods is a deeply intimate & personal process. She takes careful consideration when sourcing the raw material for each design. Before deciding on which fiber or material will be used for each creation, she thinks about how it will be worn and considers the customer and how will the finished product meet their needs and still be stylish. Completely opposed to most industry or common approach, Michele begins the design process with stitchwork, on paper. She visualizes and sketches the texture of the fabric then begins working the fabric and letting the pattern take shape. Sometimes designs come together seamlessly and quickly and sometimes it is a long and laborious process. Whichever it is, each customer can be assured the final piece was made with personal dedication, putting love and care into crafting every stitch by hand. Having been fortunate to travel the world, Michele draws her inspiration from the many places she's been and this is why many of her designs are named for places she has come across on her travels and the people she has met along the way. Another one of Michele's biggest inspirations for it all, chasing her dreams, helping others succeed, and making everyday count as much as it can is her grandparents. She proudly named her creative company after them. Find out more about the meaning behind 144 Stitches on Michele's Blog here.